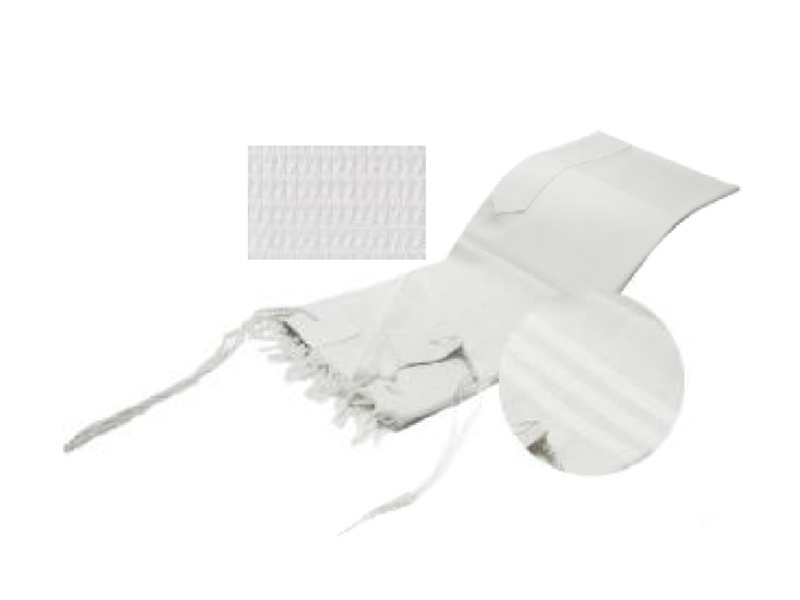 This pure sheep wool Bet Yosef tallit is completely white with slightly visible white stripes. The tallit has an atarah neckband that is a slightly different shade of white which makes it only slightly visible as well. The unique geometric raised-grid weave gives the tallit a checkerboard design and is designed for extra durability. 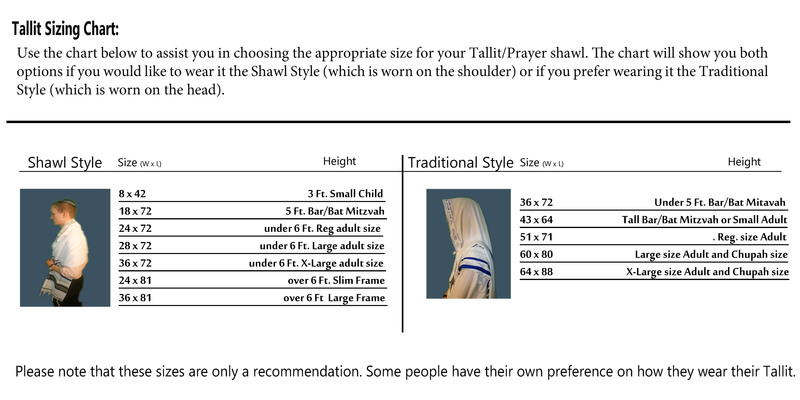 The tallit was designed in accordance with the rulings and certified kosher by Rabbi Ovadiah Yosef. The tallit comes standard with handmade tzitzit knotted accorded to the Sephardic tradition, however other options are available. Bet Yosef tallit is available with a number of tzitzit/string types, including hand made and techelet (blue dye) tzitzit.